During their Holy Week stay in Cork, Cloyne and Ross, where the former Primus of the Scottish Episcopal Church, the Right Reverend David Chillingworth, was preaching at Services in the Parishes of Douglas Union with Frankfield, he and Mrs Alison Chillingworth, visited the Bishop of Cork, Dr Paul Colton and Mrs Susan Colton at The Bishop’s Palace, Cork. 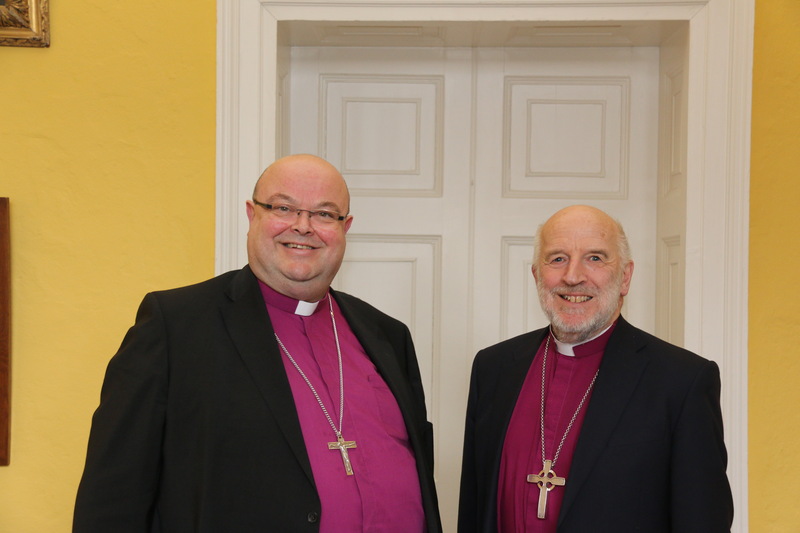 Bishop and Mrs Chillingworth were accompanied by their host, the Venerable Adrian Wilkinson, Archdeacon of Cork, Cloyne and Ross. 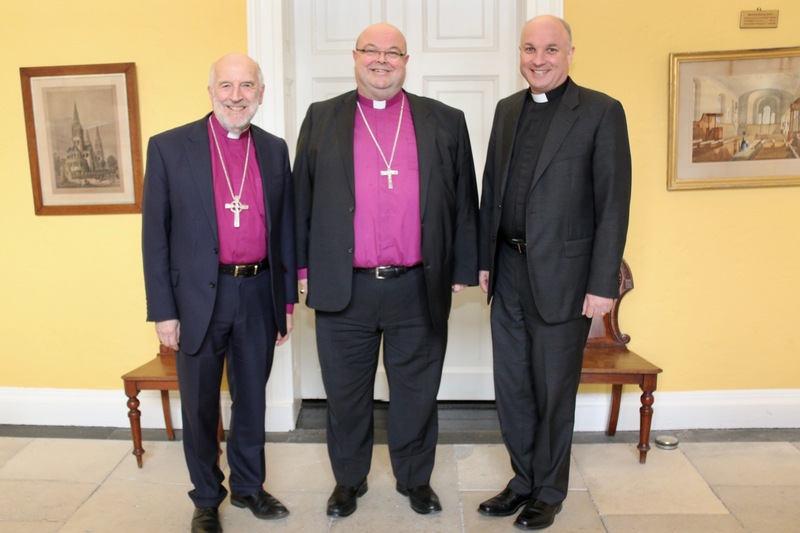 From l-r: Bishop David Chillingworth, Bishop Paul Colton and Archdeacon Adrian Wilkinson. When Bishop Chillingworth was Rector of Seagoe in the Diocese of Dromore, Bishop Colton was rector of Castleknock and Mulhuddart with Clonsilla in the Diocese of Dublin. Together they forged parochial links in the 1990s to strengthen bonds between north and south in the Church of Ireland and, in that period of Ireland’s history, to nurture greater understanding. During Bishop David and Mrs Chillingworth’s visit to Cork they also traced the family’s links to Cork. The connection with Douglas goes back through Bishop Chillingworth’s father’s family. His grandfather was Rector of Carrigtwohill, and of Corkbeg and Inch. The family graves of previous generations are in the churchyard in Douglas. Bishop Paul Colton and Bishop David Chillingworth. This entry was posted in Anglicanism, Archdeacon, Bishop, Diocese, Making Connections, Partnership. Bookmark the permalink.